This tree form ninebark has amazing color. 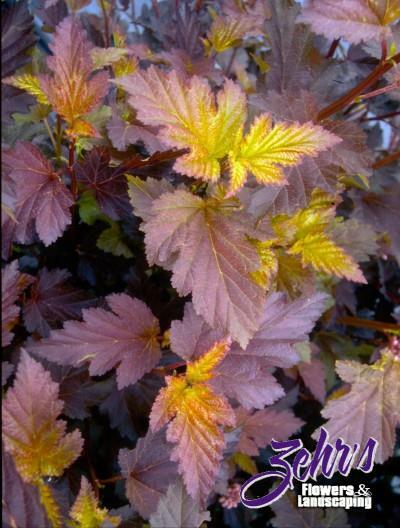 Bright burgundy-red foliage adds color all season long and the new leaves emerge with a glowing yellow-green color. Flowers in spring with creamy-white blossoms. Especially nice with yellow foliage plants.